Real Sociedad and Levante face at Estadio Municipal de Anoeta, in a match for the 28th round of the Primera División. 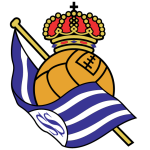 In the last league head‑to‑head, played in 09‑11‑2018, Real Sociedad got an away win by (1‑3). The head‑to‑head history at this stadium, favours the home team, since in the last 3 head‑to‑heads they won 2 and tied 1. Accordingly, in the last head‑to‑head played at this stadium, for the Primera División, on 18‑02‑2018, Real Sociedad won by (3‑0). Xabi Prieto (10' ), Juanmi (38' ) and Canales (55' ) scored the goals of the match for Real Sociedad. The home/away factor is worth special atention, since although this is a match between 9th and 15th of the league table, it’s also a match between the 14th best team in home matches and the 10th best in away matches. After 9 wins, 8 draws and 10 losses, the home team is in the 9th position, havinf won 35 points so far. In the last match, they have lost in an away match against Sevilla by (5‑2), after in the previous match they have lost (0‑2) at home, against Atlético Madrid. This is a team that usually gets better results in away matches than at home, since they have won 19 points in away matches, with 18 goals scored and 18 conceded, against 16 points won at their stadium, with 14 goals scored and 14 conceded. In the last 10 home league matches Real Sociedad has a record of 4 wins, 3 draws and 3 losses, so they have won 15 points out of 30 possible. In 27 matches for this competition, they have conceded the first goal 11 times and have only turned the score around in 2. there is 1 period that stands out in the last 13 home matches for this competition: they have suffered 6 of their 14 goals between minutes (31'‑45'). Real Sociedad come to this clash after a 5-2 loss at Sevilla: both goals were signed by Mikel Oyarzabal. The home team present quality in maintaining ball possession and often choose to use the short pass, rather than risking losing possession. In addition, Real Sociedad use the right aisle in a general way, to create their dangerous situations, taking advantage of the depth offered by side Mikel Oyarzabal. The player responsible for conducting and defining the offensive process is midfielder Rubén Pardo. Out of this game are Willian Jose, Illarramendi and Llorente, all with physical problems, in addition to Igor Zubeldia, this by suspension. Confirmed Lineup: G. Rulli, Joseba Zaldúa, T. Hernández, Raúl Navas, Aritz Elustondo, A. Januzaj, Mikel Merino, Ander Guevara, Zurutuza, Mikel Oyarzabal, Sandro Ramírez. The away team is currently in the 15th position of the league, with 30 points won, after 8 wins, 6 draws and 13 losses. In the penultimate match, they lost in an away match against Leganés, by (1‑0). In the last match, they lost in a home match against Villarreal, by (0‑2). This is a team that usually maintains its competitive level in home and away matches, with 18 goals scored and 25 goals conceded at home, against 19 goals scored and 23 conceded in away matches. 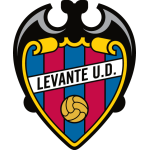 In the last 10 away league matches Levante has a record of 2 wins, 3 draws and 5 losses, so they have won 9 points out of 30 possible. In their away league matches the most frequent result at half‑time was the 0‑0 (6 out of 14 matches). Defensive consistency hasn’t been their best feature, as they have conceded goals in 8 of the last 10 matches for this competition. In 27 matches for this competition, they have conceded the first goal 15 times and have only turned the score around in 1. Levante come to this clash after a 0-2 home loss to Villarreal, registering in this way the third straight match without winning in this competition. It is possible that we observe the visitors to prefer the right side aisles to attack, taking advantage of the depth offered by Moses Simon. Despite being a team that like to play in their midfield, the can also get out very easily for the counterattack. Roger Martí is Levante's top scorer with 10 goals scored. The visitors's coach can count on their best players. Confirmed Lineup: Aitor Fernández, Rúben Vezo, Coke, Rober, Luna, Chema, E. Bardhi, Rubén Rochina, José Luis Morales, Campaña, Borja Mayoral. Observing the two teams to detail we can notice that Real Sociedad are more organized in the different moments of game, that is, it is anticipated that they dominate and hold the best chances to score. On the other hand, Levante come to this round a little unmotivated due to the last results. Given this and taking into account these factors, betting in favor of Real Sociedad in this game is a good option.